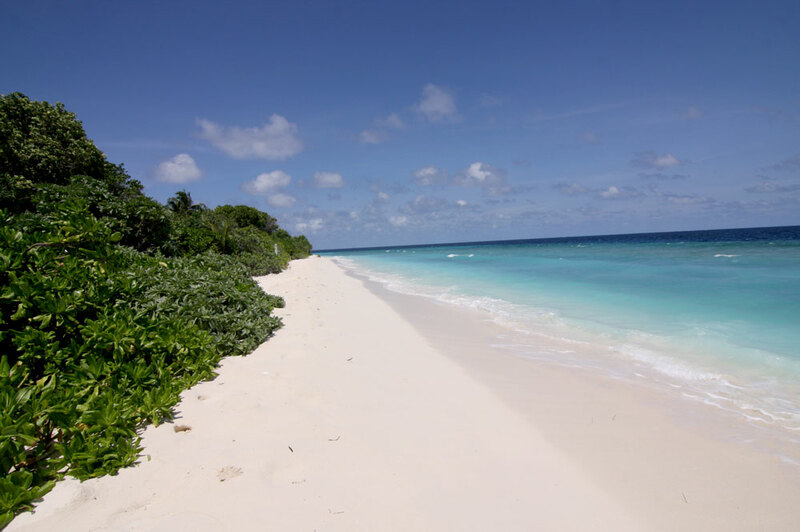 Backpack Maldives promotes “AAA” Tours – Four idyllic islands in 8 days! Once you arrive at your accommodation at lunchtime, you’ll be greeted with a welcome drink of fresh coconut and directed to the restaurant. A unique feature of this stay is that with it being a private island, it is possible to bathe in a bikini – almost unheard of in the Maldives! The package price covers bed and breakfast, including government tax and service charges but not lunch and supper. It does include all guest house facilities plus you’ll be provided with fresh towels plus unlimited tea, coffee and water during your stay. While using this guest house hotel as your base, you can transfer directly to other islands for activities such as diving and snorkelling excursions, big game fishing trips, and desert island destinations, all costing extra. It is also possible to visit local resorts. Here is an example of a possible eight day itinerary designed as part of the “AAA Package”. For bookings and exact prices contact us on backpackmaldives@gmail.com or alternatively fill out the contact form below with your details and we’ll get back to you. Please note, the basic price does not include diving and excursions or lunch and evening meals. Please note we act as advisors and agents on behalf of the local travel agency who will arrange all of your requests and needs and are responsible for handling the bookings. Once Backpack Maldives has gathered all the information from you about your planned trip, we will pass the information on to our experienced local contacts to help you turn your dream destination into a reality! Clients are responsible for booking their own flights and providing correct details to our partners. Next Bodu Beru – the beat of a nation! i am so excited when i see beautiful beach.